Irene studios have single room studios and apartments with large rooms and balconies overlooking the sea, suitable for couples or families. 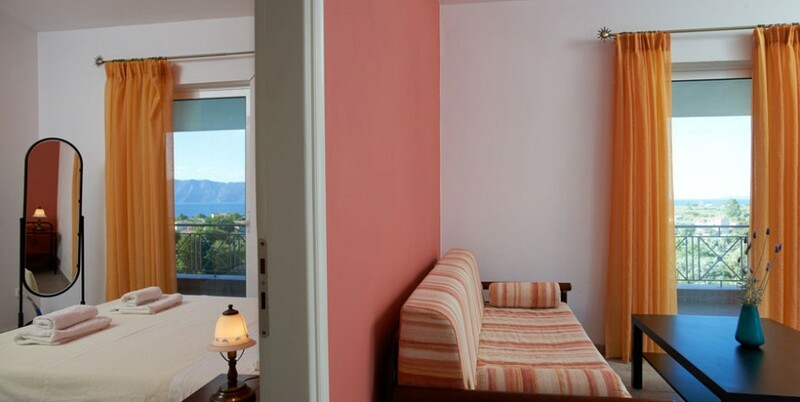 The apartments have one bedroom with double bed plus a comfortable single room with a twin bed. They feature a fully equipped kitchen, and large balcony with sea view. All apartments have their own independent access.